The BBQ & Beer Festival, in Santa Clarita on Friday and Saturday, May 6-7, will highlight the best in BBQ and BBQ sauces from around the state and beer. Saturday’s event will also feature four live bands and a fun Kid Zone to keep both adults and children entertained. 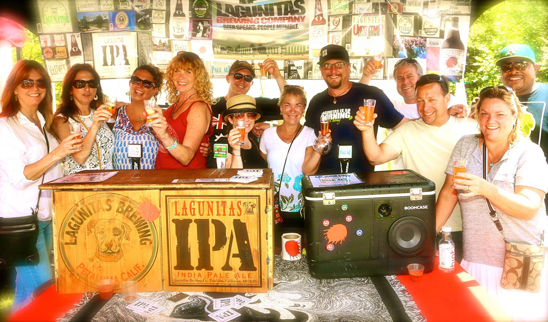 The two day event is the ultimate craft beer experience, with over 20 microbreweries pouring over 45 different handcrafted beers and ciders on tap. Participating breweries include some California favorites such as Wolf Creek Brewing, Ballast Point Brewing & Spirits, Pocock Brewing Co., Lagunitas Brewing Company, Common Cider, Iron Triangle Brewing, Rincon Brewery, Island Brewing Company, Lost Coast Brewery, Elysian Brewing, Coronado Brewing Co., Firestone Walker, Tap It Brewing and more. Friday attendees will receive an exclusive souvenir tasting cup for sampling with entry. BBQ participants include It’s in the Sauce BBQ, Busy Bee Café, Sunrise BBQ, Deaf Man’s BBQ, Earl’s Gone Wild, plus others! Tickets are available for purchase online and will also be sold at the door. Friday beer festival tickets range from $20 to $40 and Saturday BBQ Festival tickets range from $10 to $15, with free entry for children 12 and under. Both days will feature a variety of live music and entertainment. Individuals must be 21 years of age or older with a valid ID to enter the Beer Festival on Friday and to consume alcohol.